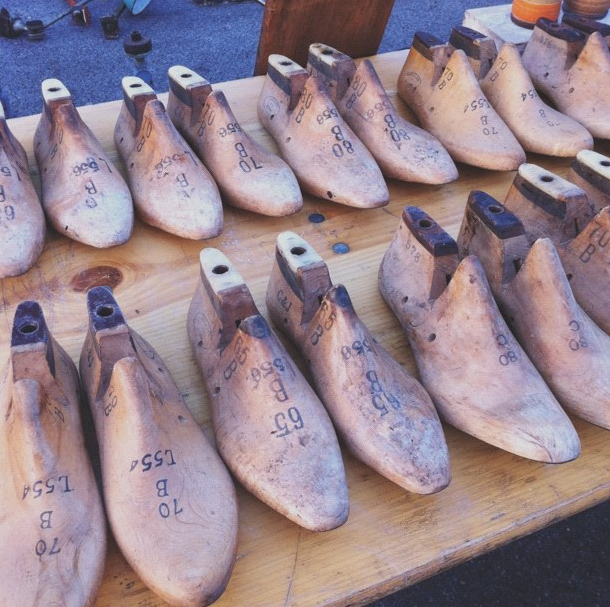 On Tuesday we braved the freezing temperatures and a very early start to visit Sunbury antiques market, a twice-monthly vintage extravaganza at Kempton Park racecourse. I love wandering around this place, I think you could find almost anything here. It's kind of a visual overload of lovely things piled high. There is so much furniture... sideboards to tables and chairs to fireplaces. There are also lots of random bits and bobs... glass domes, storage, lighting, tiles, carpets. Indoors, there is a large selection of Vintage clothing and jewellery. 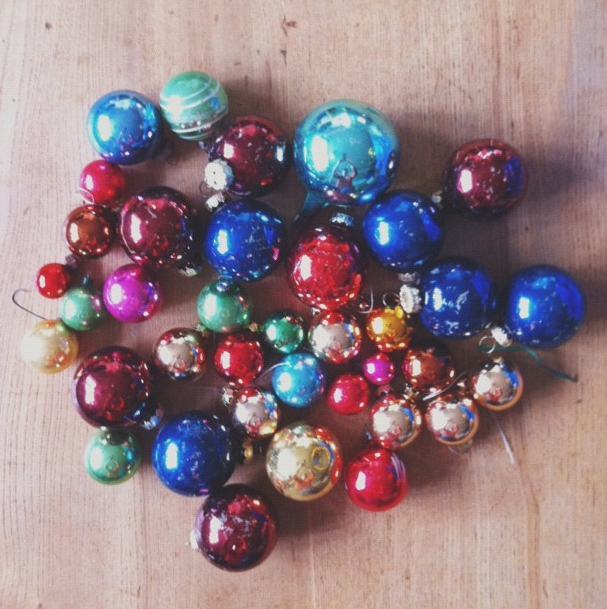 It is particularly fun to visit in December, when you will find oh so many vintage Christmas ornaments. The first picture is from one stall, she literally had about 60 boxes of this stuff! 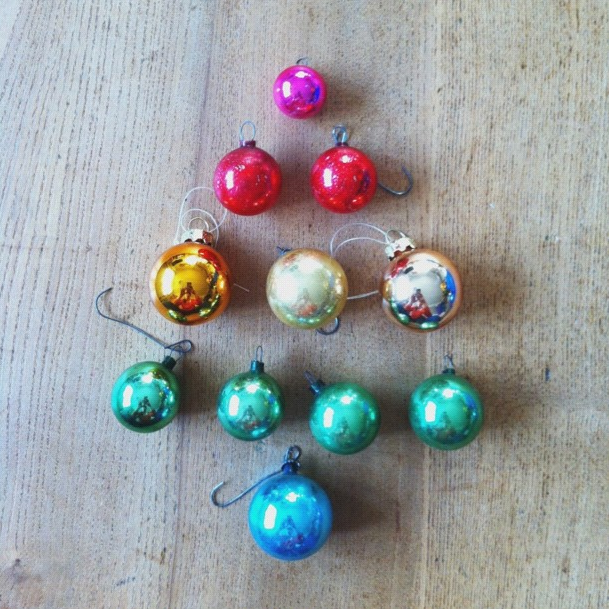 I did buy some old glass baubles which will look lovely on the tree. I was also very tempted by huge bunches of mistletoe and an old wooden sledge, I have a feeling we might have use for one of those this month! You can see more photos of Sunbury here from our visit last year. 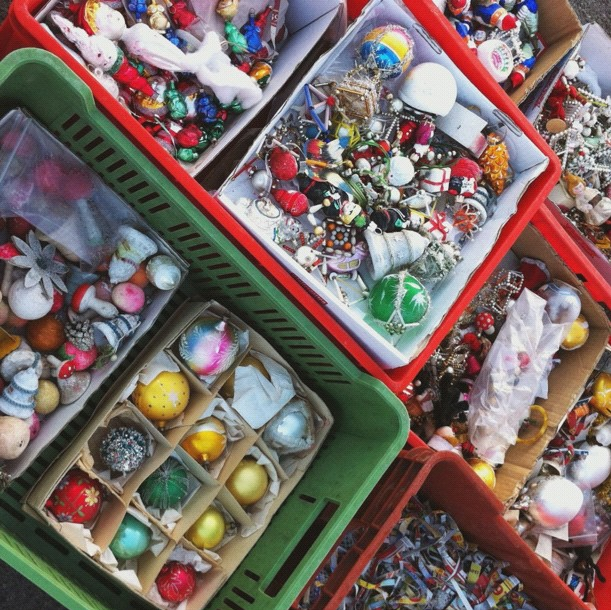 I also found a nice big stash of glass ornaments in the charity shop this week, hidden deep below piles of ropey tinsel in a huge plastic bin. At 5p each it was pretty much a no-brainer, good old charity shops eh! All photos are from my instagram feed. Always wanted to go to Sudbury, I need to make a date for 2013. Lucky fine, extra lucky you. Want to dive in those boxes! 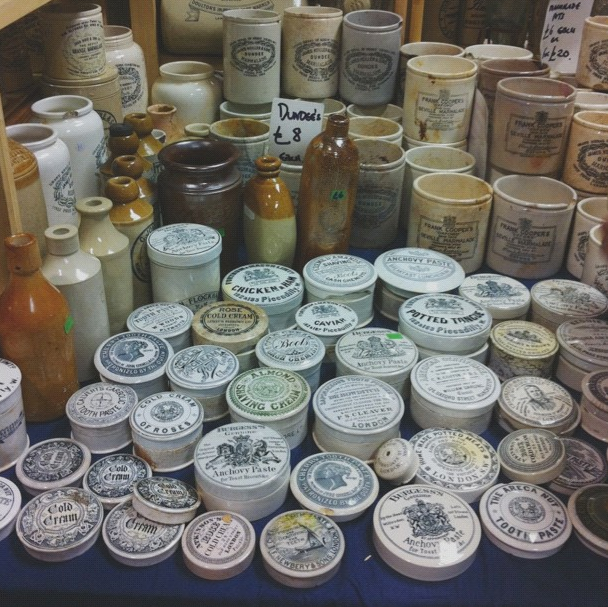 yes I love stalls like that, a find is much more thrilling if you have to rummage a bit!